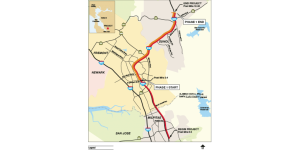 The Alameda County Transportation Commission (CTC) is proposing to construct a 14-mile-long HOV/ Express Lane on northbound I-680 from State Route (SR) 237 in Santa Clara County to SR 84 in Alameda County. 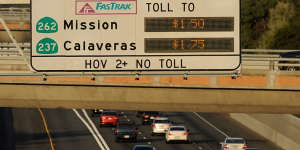 Previous litigation regarding past environmental documents prepared for the I-680 northbound HOV lanes has given this project a higher publicly and politically sensitive nature. Circlepoint provided both environmental and communications services to the Alameda CTC, effectively evaluating and communicating key issues at a level of detail that will sustain any future legal challenges that may come up. Environmental services included strategic guidance of the CEQA and NEPA environmental process including risk assessment, environmental documentation requirements, preparation of project purpose and need, and procedural schedule. 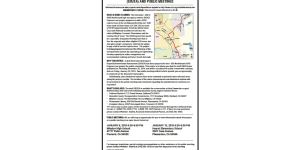 The Circlepoint team assisted Alameda CTC with the completion of the Project Approval/ Environmental Document (PA/ED) phase of the project, with the EIR/Complex EA certified by Caltrans, District 4, in the summer of 2015. In order to best meet Alameda CTC’s goal of providing congestion relief within projected funding availability, Alameda CTC is proposing to construct an initial nine-mile phase (Phase 1A) of the HOV/Express Lane project between South Grimmer Boulevard and SR 84, using reduced lane and shoulder widths. The Circlepoint team assisted Alameda CTC with the Caltrans environmental Re-Validation process, including technical document oversight, to ensure that the changes to the final design of the Phase 1A segment would not result in new or increased environmental effects not previously evaluated in the PA/ED phase. Circlepoint also assisted Alameda CTC with the oversight and quality assurance/quality control review of the biological permitting and Section 7 consultation for Phase 1A, which was completed in December 2016. 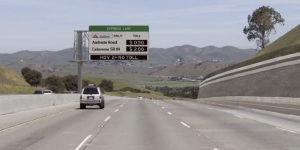 Additionally, Circlepoint assisted Alameda CTC with the Caltrans CEQA/ NEPA documentation for the I-680 Southbound Express Lane Access Conversion Project; which will restripe the existing southbound HOV/ Express lane to provide continuous access. The southbound conversion project qualified for exemption under CEQA and NEPA; certified by Caltrans, District 4, in December 2016.